With the morning dew still on the grass and the sun starting to shine, they came rolling in. 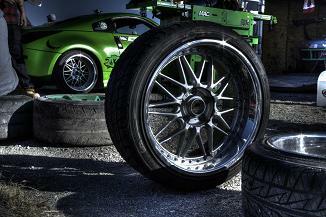 Some were on trailers, some in toy haulers, and many on their own four wheels…street legal. These were the “drift missiles” who had come to do battle with each other, but more so to challenge themselves to reach angled perfection. 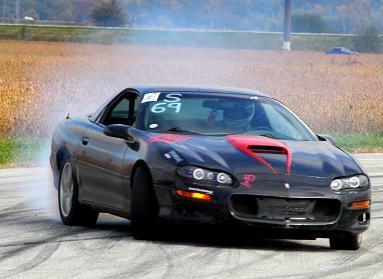 Each would drive, screeching , smoking, and sideways into the corners, in hopes of making that perfect line. 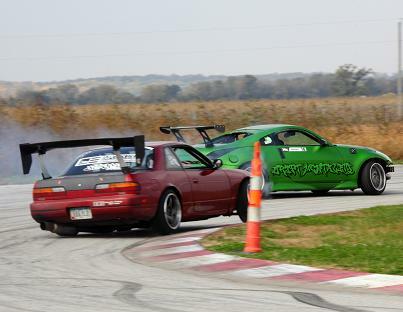 They would oversteer and pull the brake, putting their negative cambered front wheels (the top of the tire turns inward) at what would seem to be an opposition, but for getting “slideways” as drifting lovers call it, it is the perfect position. 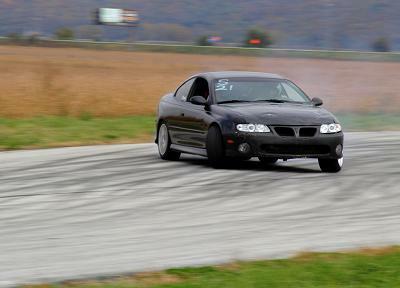 On Saturday, Oct. 18, at Mid-America Motorplex in Pacific Junction, Iowa, the long discussed dreams of three adrenalin driven “angle junkies” would roll out. 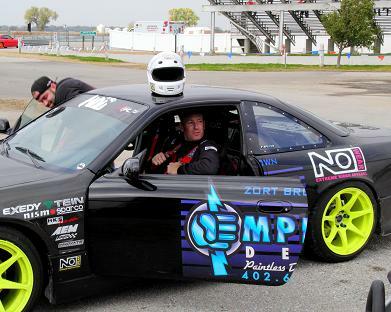 Zort Brown, Dustin Reeh and Ross Gredys, the three founders of locally based O Drift Collective, were putting on the group’s first drifting event. 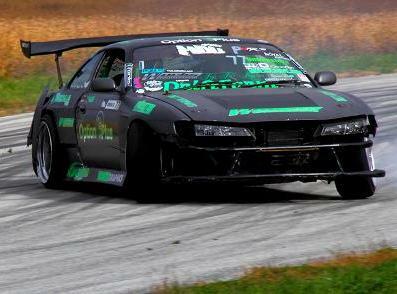 Brown and Reeh, who are part of the Midwest Drift Union’s ProAm series, would both be driving. 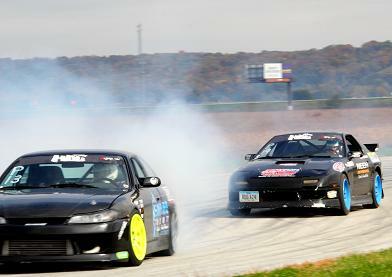 The event, called “The Uprising,” drew both novice class and ProAm class drivers from all over the midwest and as far reaching as Canada. 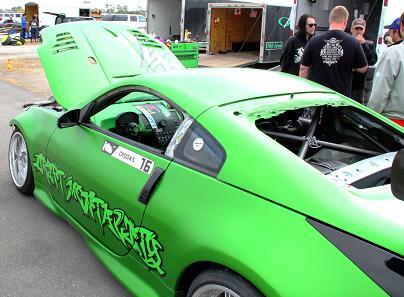 Drift car drivers were judged on speed, angle, smoke and showmanship. They battled it out on the track solo or running against each other tandem. One thing that stands out as much the smoke, screeching tires and eye-catching vehicles is the high level of camaraderie between the drivers in this sport. 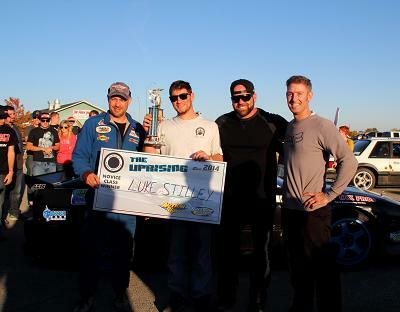 The support they offer to each other is genuine and can be seen in anything from sharing parts needed for repairs during a competition to celebrating another driver’s win. 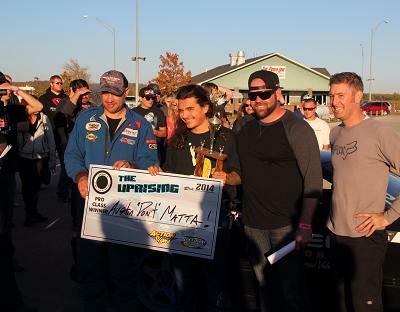 On this day that meant they were all cheering for Luke Stilley in the novice class and Austin Matta in the pro class. The group is seeking additional ways to give back to the community. There is talk of a Make A Wish foundation event next year.